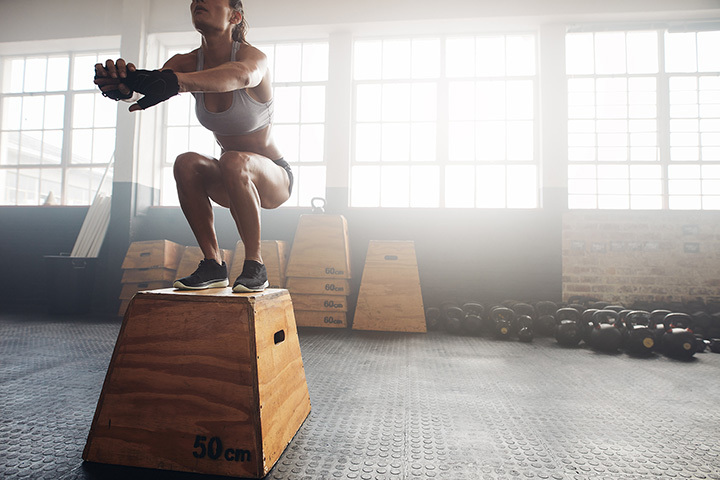 If you’re looking to spice up your regular workout routine, CrossFit just might be your answer. This regimen is focused on a diversity of workouts that range from powerlifting to gymnastics. Gain strength at one of the 10 best CrossFit gyms in North Dakota! Big Muddy CrossFit is truly a warm and welcoming community of CrossFit enthusiasts helping each other reach their fitness goals. There are classes all day from 5:30 a.m. all day until the last at 6:30 p.m., with intense and challenging yet fulfilling workouts. Still unsure? Try their free intro class to see if it’s for you. Located in a sprawling 9,000-square-foot building with a main gym, secondary gym, and weight lifting gym, this gym has everything! There are classes to learn all aspects of CrossFit, as well as how to improve your nutrition and diet to get the best results. CrossFit 701 is the perfect place for those wanting to improve their fitness, regardless of age or skill level. The coaches have over 30 years of experience, and the gym was even the first affiliated CrossFit gym in the Fargo-Moorhead area. So these guys and gals are the experts! The gym has a variety of classes and class times, and those new to the gym can even try a free class before deciding if they’d like to continue. You’ve got nothing to lose by trying a class at CrossFit 701! Not sure where to start at the gym? CrossFit Tundra makes it easier by offering a two week beginner class to everyone new to the gym in which they’re taught to master the nine basic movements of CrossFit: squat, front squat, overhead squat, press, push press, push jerk, deadlift, sumo high pull deadlift, and the medicine ball clean. So once you start with regular classes, you’ll already be a confident expert! CrossFit Tundra is the perfect gym for a beginner to try out. The best thing about this CrossFit gym is that the trainers and workout partners genuinely care about you reaching your fitness goals. You’re not just a number at this gym! There are plenty of classes throughout the day and throughout the week, making it easy to fit in your day. You’ll go from couch potato to gym rat in no time at Roughrider CrossFit! The goal of Sheyenne River CrossFit is to “train everyday people to be better at life through CrossFit,” and after visiting even just once, you’ll see that they’re accomplishing this goal! Both group classes and individual training are available. There are classes throughout the day every day except Sunday, so everyone has a chance to squeeze a tough workout into their busy days. White Knights CrossFit in Devils Lake is part of an affiliated CrossFit community, making them the experts at CrossFit training, even for those looking to compete in events. The trainers at this gym care so much about their clients progress that nutritional services are available for an additional cost, including personalized nutritional assessments, meal plans, recipe and grocery lists, a three month weight management program, and much more. No matter your fitness goals, this gym is the place to be! Amicus CrossFit prides themselves on being completely welcoming and helpful to everyone in their gym. In fact, their name “Amicus” is Latin for friend! Whether a beginner or an expert, you’ll have a place at this gym. They offer a wide variety of classes so there is something to fit every schedule, fitness level, and preference. Family owned and operated CrossFit Mandan understands that the gym isn’t for everyone, which is why they opened their CrossFit gym- to make workouts fun for “normal” people. The gym offers a new workout-of-the-day every day, so it’ll never get boring. The workouts incorporate a variety of exercises, both cardio and strength training. The class schedule includes time for open gym as well as classes for teenagers, which is a great way to get your child interested in fitness and their health! CrossFit Minot teaches three principles in their workouts: mechanics (how to exercise safely), consistency (how to repeat movements to get results), and intensity (how to work out as hard as possible while staying safe). Gym goers will learn all this and more at in CrossFit Minot’s fulfilling classes. Classes are held often throughout the week from 5:30 a.m. to 7 p.m. along with open gym time several times a day, so there are classes that fit into even the busiest person’s schedule!